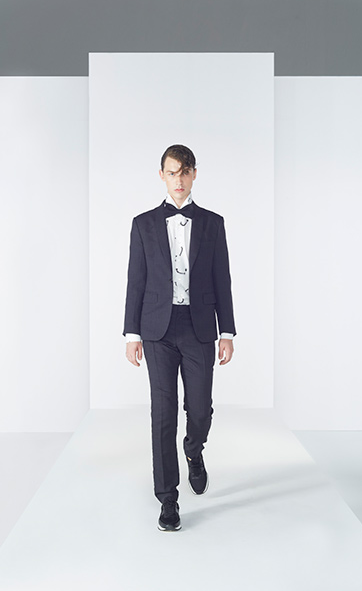 Junho wears a blazer and pants from CY Choi’s 2014 S/S Collection. He also wears Rivieras Eclipse Shoes, €55. 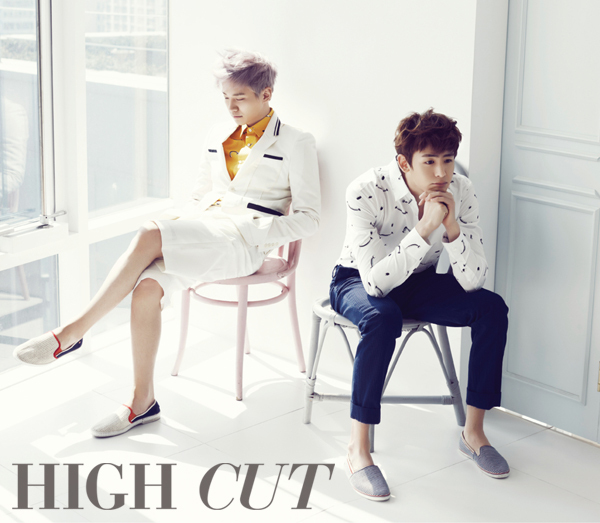 Nichkhun wears a patterned shirt from Greyhound’s 2014 S/S Collection. 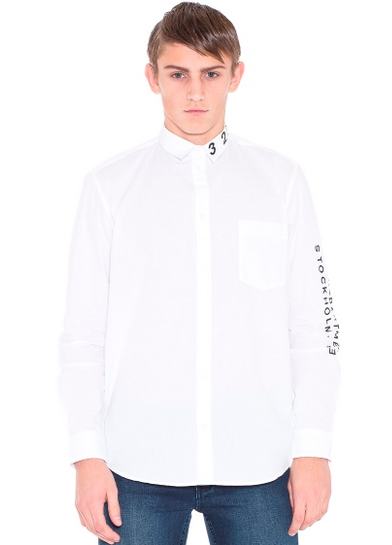 Junho wears Cheap Monday Neo Mug Shot Shirt, £50. 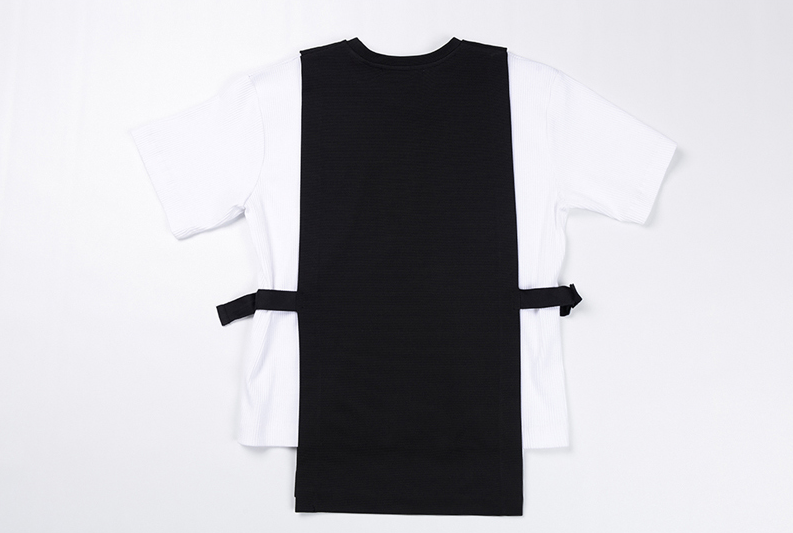 Chansung wears the Cut & Sew Shirt from Native Youth, SGD$85.88. 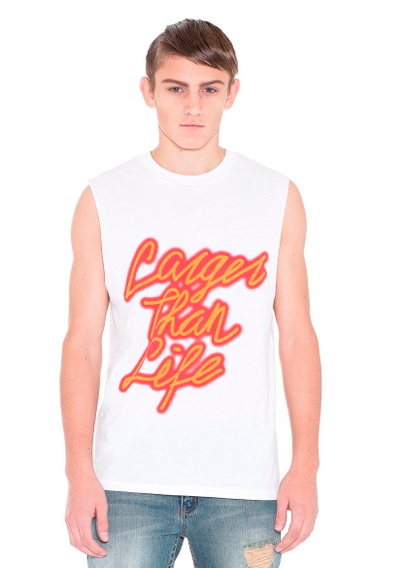 Inside, he wears a Cheap Monday Larger Than Life Muscle Tank, £25. 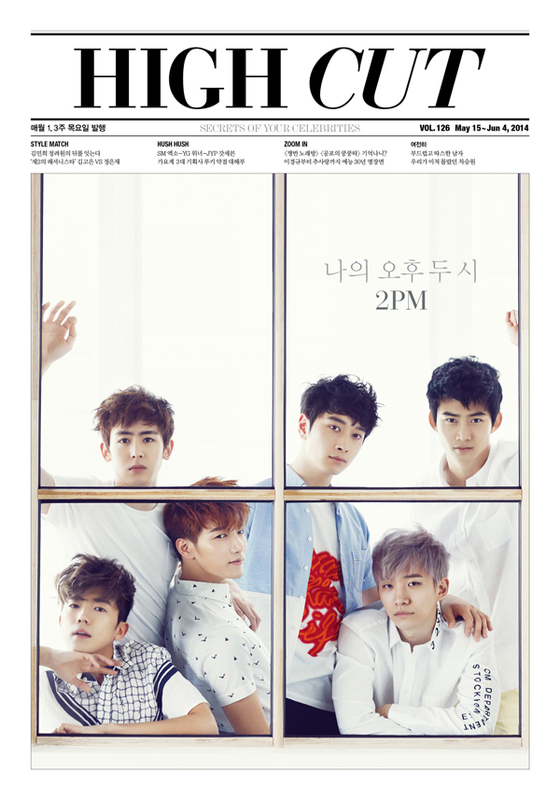 Taecyeon wears a vest and t-shirt combo from Sewing Boundaries, ₩82,000.